If you’re looking for a special piece of jewellery that is truly different, distinctive and that has been personally hand crafted for you. 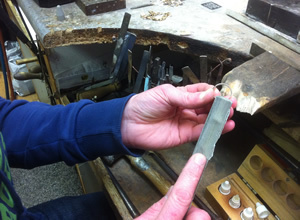 Or if you need a trusted repair for a cherished and precious item. Then you definitely need to visit Grade A Jewellers. Unlike most high street jewellers, where you deal with a sales assistant, at Grade A you talk to a ‘real jeweller’. A fully qualified and highly experienced craftsman. Someone who can offer expert professional advice and assistance. 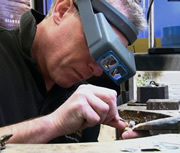 The very man who will personally make that unique piece of jewellery for you, or who you can actually watch as he carries out an intricate repair. 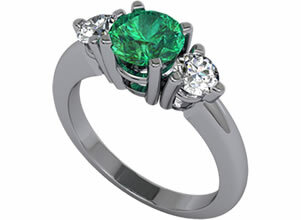 But at Grade A we also have powerful computer technology that enables you to design your own jewellery right there on the screen. Together we can generate precisely what you are looking for. Then we will make it for you. Crafting truly bespoke jewellery that is as individual as you. You can watch us work in our purpose built, fully equipped workshop. Our computer aided design (CAD) technology is amazing. 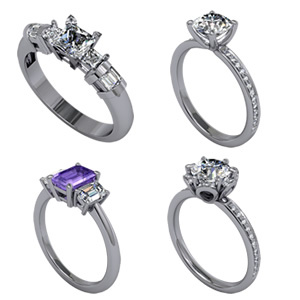 In real time we can instantly adjust the shape, compare different metals, alter stones and styles until together we have created your dream design. It can even work out the estimated cost for you. 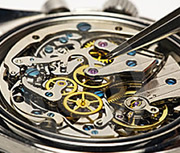 At Grade A we also undertake high quality watch repairs. 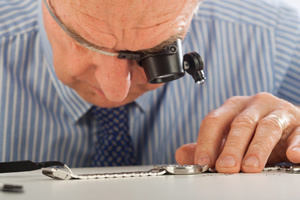 Our trusted watch specialist is a vastly experienced technician so for anything from a simple battery replacement to a full service and overhaul, or the most intricate repair – call in to see us. Another way many customers approach us to manufacture custom made jewellery is to bring in a picture they have seen, or even a sketch they have done themselves. 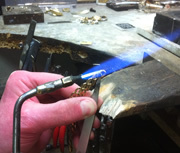 We can use these as a basis to make that special piece of jewellery for you. GRADE A JEWELLERY 2017 ALL RIGHTS RESERVED.